To make sure you get the best deal we'll show you great prices from all of our drivers, including J.P.D Distribution, if they're available on the day of your move. Have a question for J.P.D Distribution? No problem, send them a message and they'll email you back as soon as possible. If you have a more general question you might find it answered in the FAQ, or you always contact one of our brilliant customer service team. * J.P.D Distribution won't be able to see your email address. We have over 20 years experience coving all over the UK & Central London. We currently have 1 van & 3 drivers which enables us to cover 24/7 for our customers. We can cover the whole of the UK mainland at present and are soon about to add a 2nd van to our fleet. 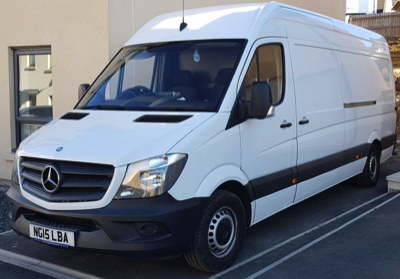 Our vans are kept clean & are kitted of with blankets, straps and full van width ramps to assist with any type or item for safely loading & unloading. We offer a personal 1-2-1 service throughout the UK, Same Day service & short term storage if required. Would wholeheartedly recommend Jez. Super efficient and thoroughly trustworthy. Cannot praise him enough. THANK YOU, Jez.